Subaru is a well-respected auto brand known for it’s emphasis on safety and vehicles that provide “enjoyment and peace of mind with every adventure”. Indeed, when evaluating Subaru car shipping companies, we suggest working with a transporter that shares their values and puts their customers at ease. They need to communicate well, work hard and ensure every Subaru car shipping experience goes smoothly – especially yours. Keep reading for useful tips regarding how to ship your Subaru, shipping cost and why Subaru owners and dealerships nationwide have been choosing us with their car shipping needs since 2006. Of course, if you’re ready to move your Subaru, request a free customized car shipping quote. Or, give us a call at 1 (888) 886-3456 today. Shipping your Subaru should be a pleasant and easy experience. The first step to a positive Subaru car shipping experience is to do your research online. Avoid selecting a transporter solely based on lowest cost. In fact, with many companies in the auto transport industry, the lowest price can lead to unwanted delays and frustration. In reality, the cost to ship a Subaru depends on factors like the time of year, location and type of shipping. For example, open car shipping is less expensive than enclosed, but they each offer pros and cons worth considering. Instead of focusing on the cost to ship your Subaru, we recommend selecting your Subaru car shipping company on the greatest likelihood of a safe, on-time pickup and delivery. The best Subaru auto transporter has a flawless five star reputation among customers. They are a well-established car shipping company, fully licensed and insured. 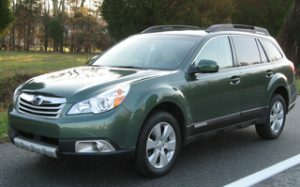 The transporter shares Subaru’s focus on offering peace of mind through safety, as shown by their outstanding reputation for reliability and customer service. In other words, your car shipping company will do what they say they will and deliver your vehicle safely and on-time. With over 30 years of trust and reliability, we will make every Subaru auto transport move easy for you. Read what our Subaru customers say and then get in touch for your next car move. We’ve been using Fisher Shipping for several years for sold unit deliveries, export deliveries to ports, and local / cross state new car shuttles. Jerry L. has been the best! No issues, quick pickups and personal service that is beyond expectations. Jerry always has a positive attitude and a “let’s get it done” attitude. Recommended! I just worked with the team at Fisher Shipping Company to get my new 2013 Subaru BRZ transported from Tampa, Florida to Monterey, California. I couldn’t be happier with their professionalism, how my car was taken care of in transit and the excellent communications leading up to a safe and on time delivery. I would definitely dial their number should I have a need to transport another vehicle in the future. Enclosed vehicle transport available: If you’re transporting a new Subaru, you may want to choose covered or enclosed auto transport. “Very Professional brokers. Used them to arrange cross country shipping. Very responsive, knowledgeable and the driver they connected me with was excellent.” Ryan M.